Spring has sprung. If you are coming out of the winter of divorce, consider this season as your chance to clean your home and your soul of the emotional burdens. Back by popular demand is this useful and uplifting article. The season of spring is all about renewal, which is why it is the perfect time to clean out all that unsightly clutter in your home. If you have recently completed a divorce, then you may also have a lot of disorder in your soul and in your mind. Spring cleaning doesn’t just have to be a physical chore; it can also be a metaphorical cleansing. Let’s ease into the spring cleaning process by looking at your home. It is sometimes easier to toss out the physical reminders of your marriage than to sweep away the lingering emotional debris. Physical items often trigger memories and emotions, even on an unconscious level. If those curtains you and your ex bought together are dragging you into the past, they need to go. If you are on steady terms with your ex, then consider offering him any of the objects you no longer want in your house. If even the thought of calling him sends your blood pressure spiraling, then you can always sell your unwanted items on Craigslist, Amazon, Facebook, or the new cadre of local selling apps and use the profits to purchase new décor. Another option is to box everything up and haul it to a local charity like Goodwill or the Salvation Army (some locations will pick up from your home). Your possessions can have a second life and perhaps create new, better memories for someone else. Your home isn’t the only place where unwanted junk is piling up. Divorce is almost always emotionally bruising, even in the best of circumstances. 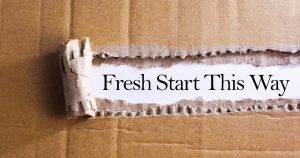 You may have survived your divorce, but emotions such as betrayal, anger, fear, and rejection could still be holding you back from embracing your new life. No matter what happened in the past, it is over now, and you have the ability to write a new chapter in your life. Realize why you are angry or feeling hateful. Talk to people about what’s on your mind. Let go of unhealthy thought patterns. A divorce can set you free in many ways, but it will change your financial circumstances. First and foremost, divorce itself isn’t cheap. The legal organization, NOLO, surveyed its members and found that the average divorce costs $15,500 per person! This corroborates the saying, “Love is grand – divorce is twenty grand.” Additionally, though women have made great strides when it comes to building a career, the Bureau of Labor Statistics figures for 2013 show that in 70% of two-income households, husbands earned more than their wives. So when you divorce, not only have you lost all the cost savings of combining incomes (i.e. one mortgage to pay), but it is likely that you are working with less than half the income. This spring, take the time to feel the sunshine on your face and listen to the birds chirp. Give your home, your soul, and your finances a good scrub and enjoy this beautiful new season in your life! 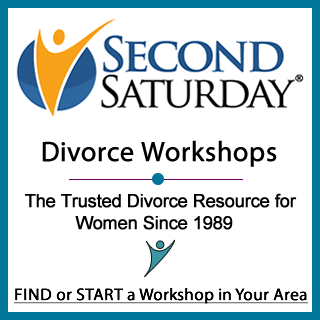 For more great divorce advice, check out our divorce article archive just for women.